The regular Council Meeting of Oct. 8, 2012 was called to order by Mayor Charles Norskog at 7:30 P.M.
Mayor Charles Norskog, Councilpersons Richard Hawkins, Thomas Sims, Traci Fallow, John Ruymann, and Lisa Stephens answered roll call. Correction: Streets: Instead of Councilmember Ruymann it was Councilor Hawkins that requested a hydrant report on the condition of the older hydrants. Motion was made by Councilperson Hawkins and seconded by Councilperson Fallow to accept the minutes of the regular meeting of September 10, 2012 as amended. Motion carried. B. Meile commented about the all night foot traffic on Grace Street. He has reported to sheriff’s office, however it is still happening. ATTORNEY’S REPORT: The City Attorney submitted a written report in the packets. 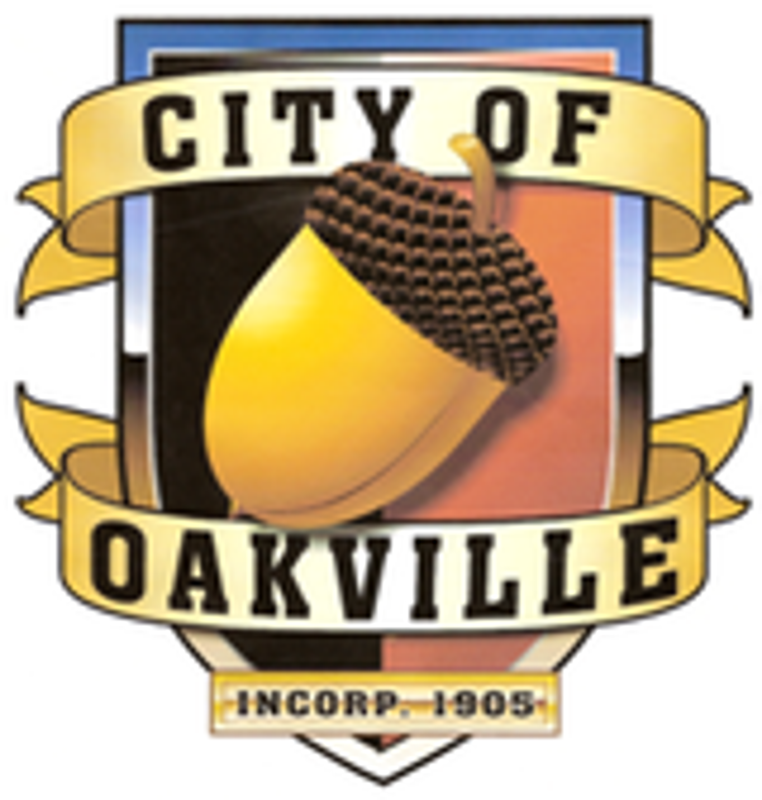 He would like the Council’s authorization to attend the WSAMA Fall Conference and requested the City of Oakville pay 10% of his lodging and transportation to and from the conference. Motion made by Council member Fallow and seconded by Councilor Stephens authorizing the City Attorney, Dan Glenn to attend the Fall Conference and authorizing the City to pay transportation to and from the conference, as well as, his lodging. Motion carried. Indigent Defense Contract: Motion made by Council member Sims and seconded by Councilor Fallow to enter into the Indigent Defense Contract with Mrs. Kleespie. Motion carried. POLICE REPORT: Reported the average time spent in the city for September was 46 hours per week and for the year 48 hours. The contract calls for 40 hours. Water: Dan Thompson submitted a written report in the packet. There was some concern regarding some 20 year old trees blocking the view of the water reservoir. Perhaps some of the trees should be taken out. Contract for Jail Services: Needs further review. CORRESPONDENCE: Moved on the agenda to CITIZENS COMMENTS. Resolution #384: A Resolution Establishing The Fee To Be Collected For Issuance Of A Business License And Renewal Fee. Motion by Council Member Stephens with a second from Councilor Ruymann to accept Resolution #384. Motion carried. Resolution # 385: A Resolution Adopting The Grays Harbor County Comprehensive Solid Waste Management Plan Revision, August, 2012. Motion by Councilor Fallow and a second by Council member Sims. Motion carried. Payroll Checks #11777 thru #11793 dated 09-28-12, in the amount of $11,987.41. Motion was made by Councilperson Sims and seconded by Council member Stephens to accept the Clerk’s Report as presented. Motion carried. Deborah Baker: Reviewed and invited everyone to the upcoming events at the library. Bernard Meile: Spoke in favor of keeping the water tower exposed to avoid vandalism or worse. Jessica Huff: Composer of complaint letter. Was not there to argue whether incidents mentioned earlier regarding Mr. McIntyre’s daughter, did or did not occur; but rather to address the behavior of the Mayor that she felt was unprofessional. Council member Sims: “Glad to be back in the states”. Meeting recessed at 8:00 P.M. until October 22 when there will be a Public Hearing. Mayor Norskog reconvened the October 8, 2012 regular Council Meeting at 7:30 PM on October 22, 2012. Mayor Charles Norskog, Councilpersons Richard Hawkins, Thomas Sims, and Lisa Stephens answered roll call. A motion was made by Councilor Hawkins with a second from Councilperson Stephens to excuse Council members Fallow and Ruymann for their absence. Motion carried. No public input. Public Hearing was closed. The Public Hearing schedule for the 2013 Budget will be Tuesday, November 13, 2012; with the final date, Monday, December 10, 2012. Councilman Hawkins motioned to adjourn the October 8, 2012 meeting at 7:47. Councilor Sims seconded the motion. Motion carried. At this time, Council began their work session.